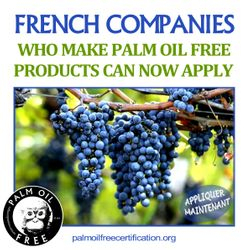 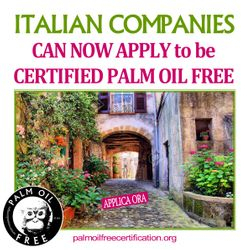 The International Palm Oil Free Certification Trademark & Accreditation Programme is an independent, not for profit certification programme approved to certify products, companies or processes in 12 countries with applications pending in 5 others. 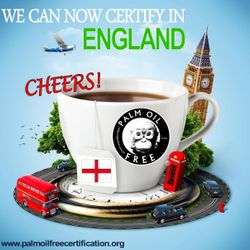 The countries our certification trademark is approved so far are in Australia, England, Scotland, Northern Ireland, Wales, Spain, Austria, Sweden, the USA, Italy, France & Finland. 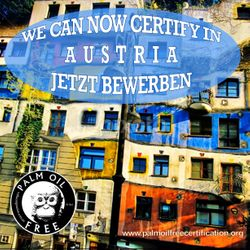 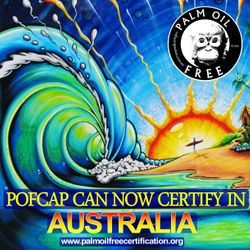 Each product, company or service displaying this international palm oil free certification trademark has been assessed and certified palm oil and palm oil derivative free. 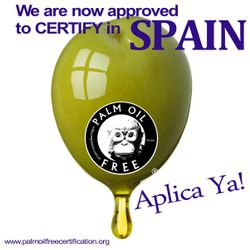 Apply now to have your products, companies or processes audited and certified. 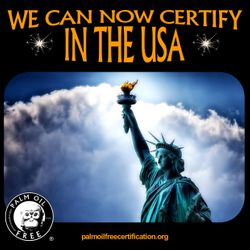 When investing time and money in an certification trademark for your business, it is recommended your due diligence includes requesting proof that the 'certifying' organisation has a registered and approved certification trademark in the country you manufacture in. 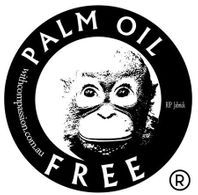 As this programme develops you will see more and more products displaying the palm oil free certification trademark and this will assist those consumers who have been asking for this for a long time. 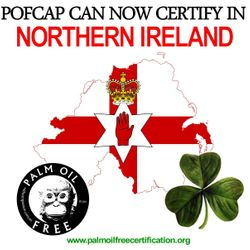 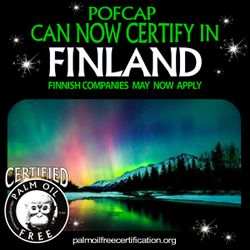 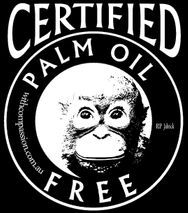 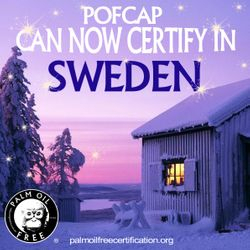 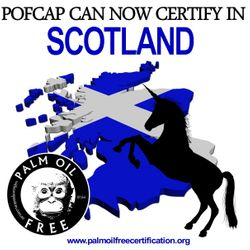 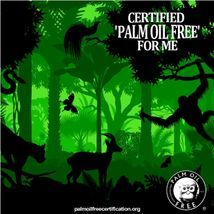 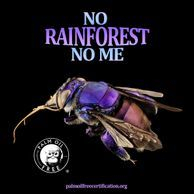 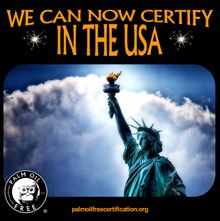 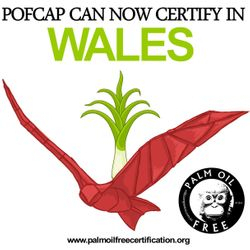 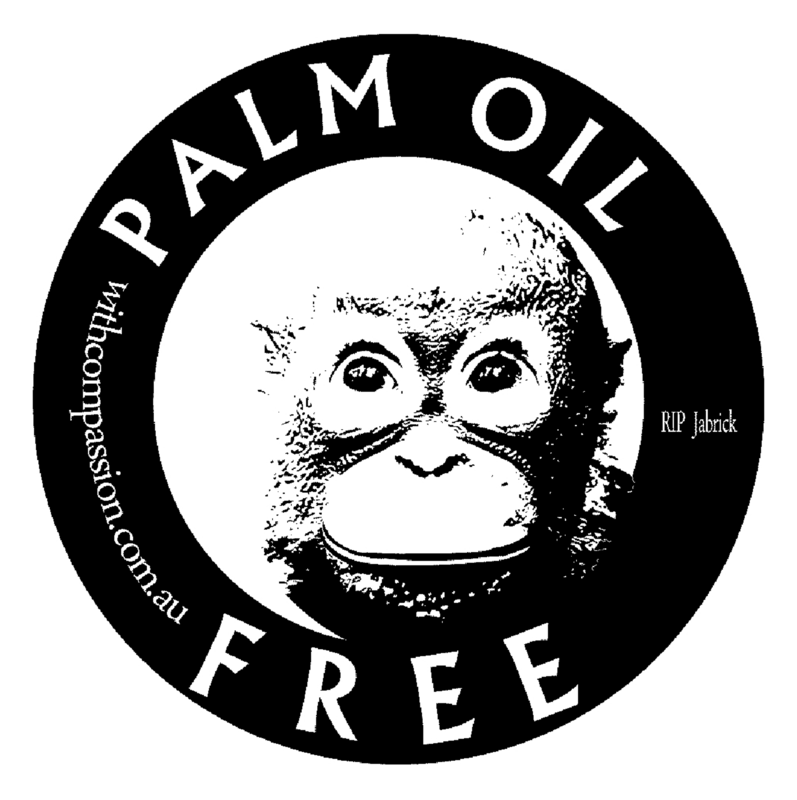 **IT IS ILLEGAL TO DISPLAY THE POFCAP INTERNATIONAL PALM OIL FREE CERTIFICATION TRADEMARK LOGO UNLESS YOU HAVE BEEN SUCCESSFULLY ASSESSED.